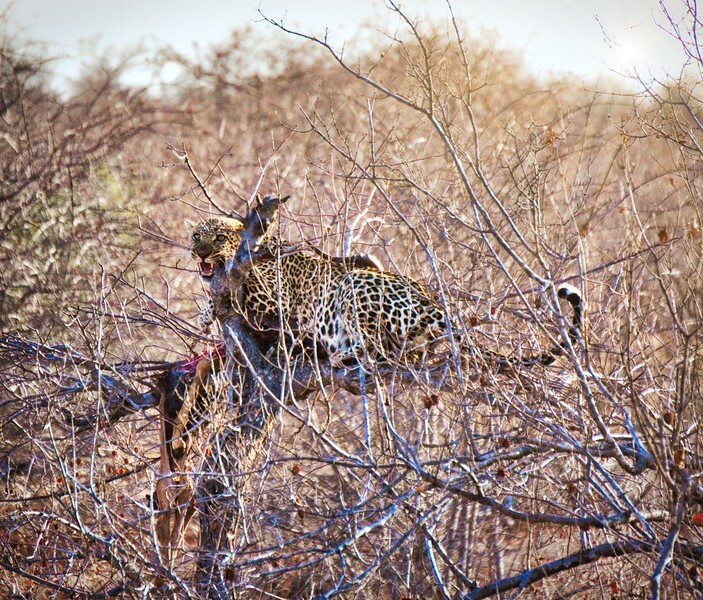 A leopard trying to hang out on the top of a tree with his dinner but some Hyenas are disturbing him. Now they can't climb but were annoying enough to make him leave eventually. But the Leopard stuck around and we occasionally saw him in that area in the following days.